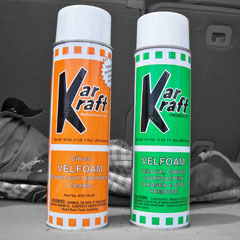 Formulated to lift stubborn soil & grime from carpet and upholstery fabrics, this unique dry foam requires no rinsing. Contains color enhancers and fabric conditioners. Unique spray can is designed to work upside down. Also available in citrus.